Bruce Willis Confirms a 6th ‘Die Hard’!! Bruce Willis was on some talk show today promoting his upcoming 5th installment of ‘Die Hard‘, titled ‘A Good Day To Die Hard‘, where he was asked if there will be a 6th ‘Die Hard‘ film. Willis smiled and simply said, ‘YES’. I guess everybody involved with the 5th movie knows that it will be successful already. I can’t wait to see what the 6th one is called. Maybe ‘Die Hardest: Innnnnnn Spaaaaaaace’. I can only hope. So I’m sure there will be tons of explosions, over-the-top bad guys, and a few naughty words thrown in for good measure. If I were in charge, I’d get back Sam Jackson and have the two pair up again, because that was an amazing duo. 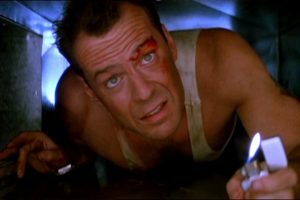 But, I guess as long as Willis is alive and not a vegetable, he will continue with the ‘Die Hard’ franchise. Yippie Kay Yay, Bruce. Yippie Ka- my hip, my hip. ‘Die Hard’ Coming Back To Big Screens In A Whole New Way!!! Film Review: ‘A Good Day to Die Hard’!! Check Out the Trailer for ‘Die Hard 5: A Good Day To Die Hard’!!! This entry was posted on Thursday, February 7th, 2013 at 12:48 am	and is filed under Film, News. You can follow any responses to this entry through the RSS 2.0 feed. You can skip to the end and leave a response. Pinging is currently not allowed. « J.J. Abrams Will Develop a ‘Portal’ Film and a ‘Half-Life’ Film! !